Mitsubishi Chemical Advanced Materials conferred the coveted international "Mitsubishi Chemical Advanced Materials Award" for the fifth time on Friday, January 25, 2013. Of the four prizewinners, the Japanese researcher Dr. Nobuhiro Yanai won the first prize of EUR 15 000. Dr. Yanai wrote his thesis at Kyoto University, Japan. The other three Mitsubishi Chemical Advanced Materials Award winners, who have won prizes of EUR 5 000 each are (in alphabetical order): Dr. Shelby B. Hutchens (USA), California Institute of Technology, USA; Dr. Sangwoo Lee (South Korea), University of Minnesota, USA and Dr. Neil D. Treat (USA), University of California, Santa Barbara, USA. 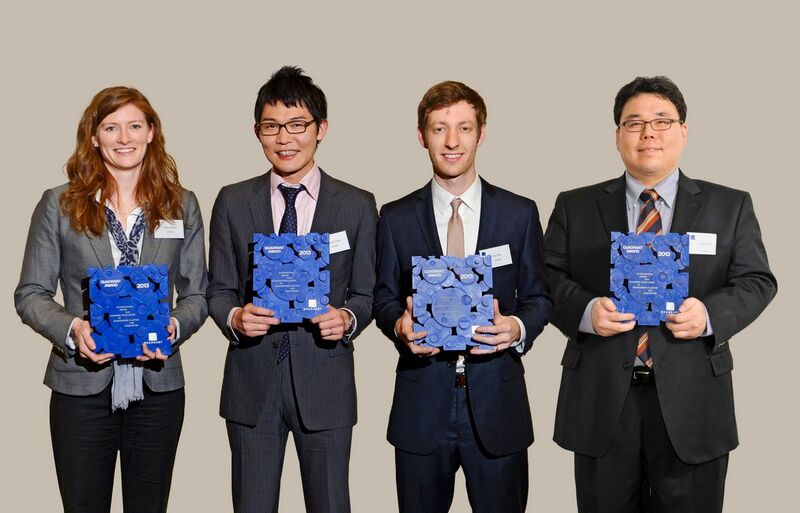 Our warmest congratulations to the award-winners and thanks to all applicants for their entries. You will find more information on the Mitsubishi Chemical Advanced Materials Award 2013 and the assessments of academic jury in our press release.